With autumn winds beginning to blow and the smell of burning leaves now upon the ever-chilling air, I'm more than ready for the start of the Samhain season. To enhance my enjoyment of this - my favorite - time of year, among other things I like to immerse myself in the sonic sea created by some of my most revered Gothic metal acts. In that not-so-small list of artists, Tiamat ranks highly. 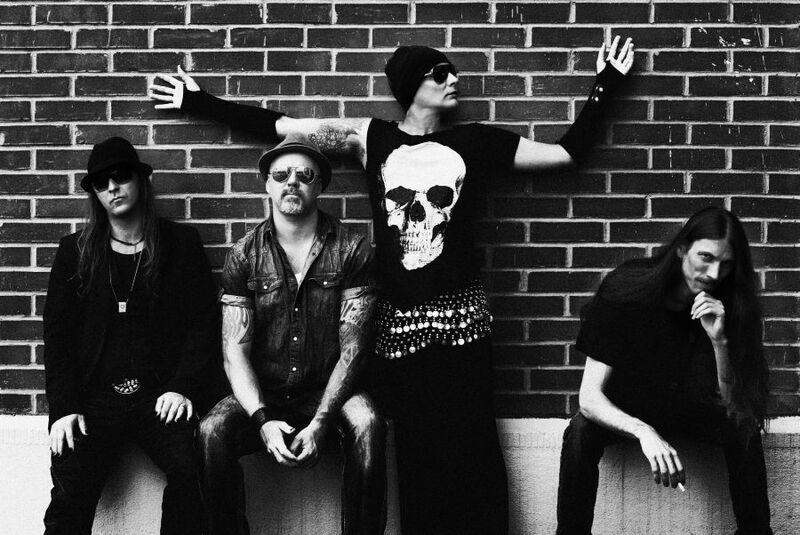 It just so happens that those Swedish purveyors of melodious gloom are about to release The Scarred People, their tenth full-length album since they crept onto the scene way back in 1990. Their first couple of albums charted the seas of straightforward death metal, but since 1994's groundbreaking Wildhoney album Tiamat has been full Goth, albeit with varying degrees of progressive and experimental flourishes. I'm sure it goes without saying that The Scarred People sits high among my most anticipated albums of 2012, but I've gone ahead and said it anyway. So deal with it. Just like I have to deal with the fact that Tiamat's new album falls far short of my expectations. If the title track were all I had to measure what The Scarred People would deliver over its eleven tracks (and until recently it was all I had), I would not hesitate to declare the album to be a fine compliment to previous releases such as Prey and Skeleton Skeletron. Johan Edlund, the mastermind behind all that is Tiamat, opens the song (and album) with robust orchestration, ominous riffs, and mournful piano runs - all of which are well within the band's expected core sound. Edlund's baritone vocals are in fine Gothic form, enhanced by gripping monastic chants and exquisite synth accents. Anders Iwers keeps the rumbling pace with finely strummed bass lines, and the track closes with the fading sound of a sorrowful churchbell - an element that Edlund has carried across multiple Tiamat releases. 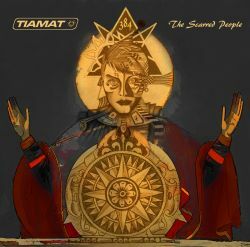 Indeed, "The Scarred People" is everything that Tiamat fans have come to expect. As the album moves on, though, expectations become a distant point in the rearview mirror as Edlund takes listeners in a direction that is not wholly unfamiliar, but somewhere just beyond Tiamat's known boundaries. Before explaining in further detail how The Scarred People differs from previous Tiamat releases, it's worth noting that there is plenty about this album that will please longtime fans. Edlund's masterful songcraft remains top-notch, though some of his decisions might be questioned. He still creates lush soundscapes with layered synth patterns and engaging choruses, aspects common to all tracks on The Scarred People, but enhances his vision this time around with considerable variation to his guitar tones and vocal styles. Together with Roger Öjersson, Edlund puts together a number of riffs that bounce between bluesy rock and a more contemporary, alternative sound. "Winter Dawn" and, more conspicuously, "Messinian Letter" bear witness to the alt-rock stylings while the solo on "Radiant Star" and the entirety of the instrumental "Before Another Wilbury Dies" (which is pretty much just one long solo) showcase Edlund's blues-rock leanings. Edlund also takes an opportunity to depart from his usual confident baritone for a style that's something more Bowie-esqe on songs such as "The Sun Also Rises". There's more than a hint of an Oriental melody to this track, bringing to mind (to my twisted mind, anyway) Bowie's '83 hit "China Girl". Another vocal play that Edlund has executed on previous albums surfaces again on the song "Thunder & Lightning", where an uncredited female singer provides ethereal background vocals. It may be a familiar trick, but in the Tiamat scheme of things it's a definite winner and something that I'd really like to hear more of. As such, "Thunder & Lightning" ranks behind the title track as the second best song on the album. The progressive/experimental avenues presented on previous releases resurface here as well on tracks such as "Tiznit" and album closer "The Red of the Morning Sun". The former song is an instrumental zen journey comprised of a mellow acoustic guitar sound gently pierced by a chimes, all of which is accompanied by pleasant birdsong. The Scarred People closes out with "The Red of the Morning Sun", the most Pink Floyd inspired song on the album. It's a meandering composition filled with urgent whispers, somber bass lines, and a guitar sound that is slightly discordant but bolstered by a rich orchestration that builds to a robust finish. Taken as a whole and held against Tiamat's already impressive catalog, The Scarred People fails to live up to expectations. It's by no means a lousy album and Edlund's songwriting is as interesting as ever, but there's a disjointed feel to it as the familiar Tiamat style competes with a sound that is rather unlike anything the Swedes have put forth so far. If you're a Tiamat devotee, like myself, you're still going to want to add The Scarred People to your collection. For those (very few) unfamiliar with the band, start with an earlier release.